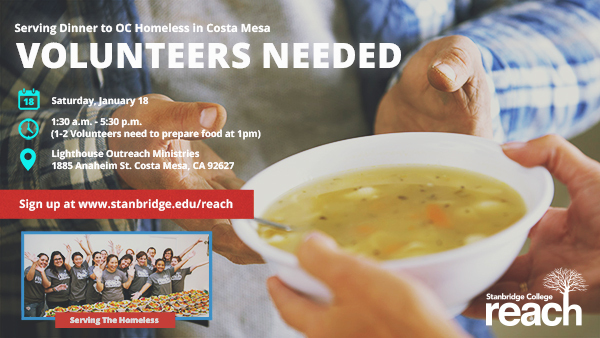 Stanbridge College REACH – Beyond the Classroom invites you to volunteer to help the homeless on January 18th in Costa Mesa. Help prepare and serve a warm meal to over 250 homeless and low-income people and families in Costa Mesa. Now is your chance to truly make a difference for those in need for our community.